Be playful this summer with the Daniella monokini set. 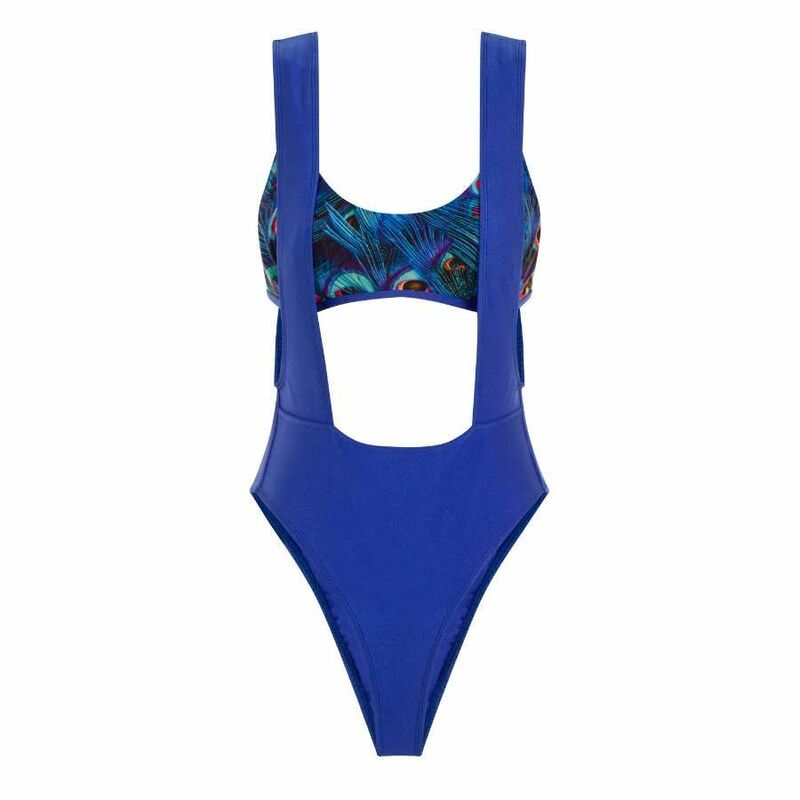 This piece features a sleek top in an iconic feather print, perfectly complimented with royal blue shoulder strap briefs. One of a kind swimwear designed and made in England crafted from the finest materials with utmost attention to details. Inspired by worldly lifestyle and passion for travel Afina designs are bold, statement wearing pieces that are comfortable and flattering.